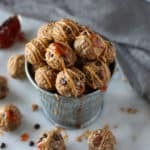 4-ingredient PB & J bites are short on ingredients but mighty on flavor. Pack them in your lunch box, eat them on the go, enjoy them as an afternoon snack, crumble them over yogurt, or serve them at a party! The options are endless. 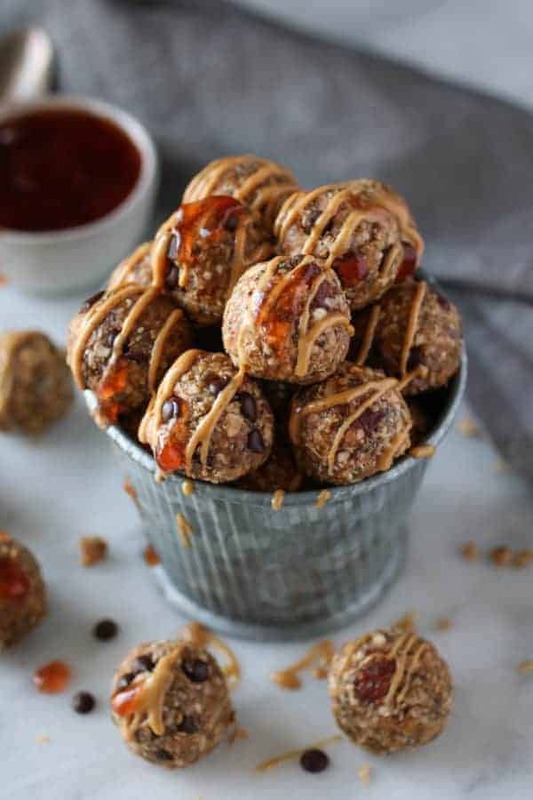 These 4-ingredient PB & J Bites are a multipurpose food and you just can’t beat the PB & J duo! There are a number of ways you can enjoy these tasty bites. They’ll surely be a new go-to recipe for you. 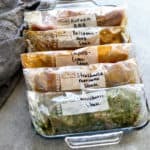 I like to have them on hand for a quick snack or if I need a little something to get me by! Best of all, they’re made with just 4-ingredients! That’s right…..just 4 simple ingredients and no baking needed! You can whip them up in just 10 minutes of your time. 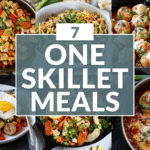 You can check out all of our 10-ingredient or less recipes here. 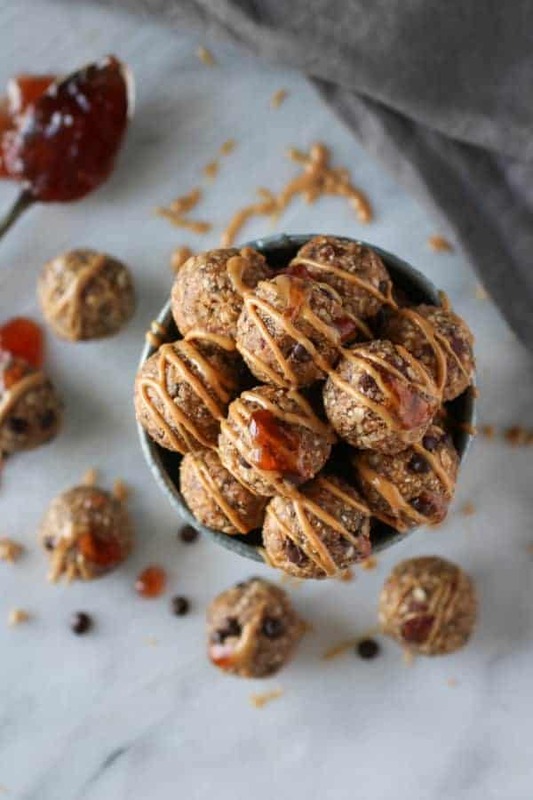 Make them with peanut butter, almond butter, cashew butter or sunflower seed butter. 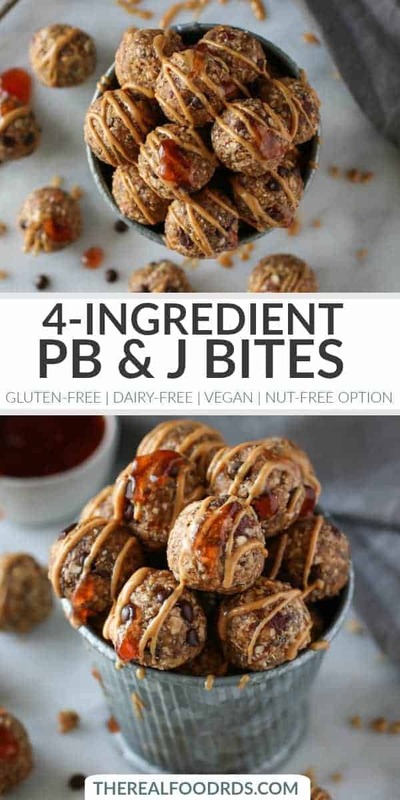 I’ve made these 4-ingredient PB & J Bites with all of the above! And as you can see, I snuck some mini-chocolate chips into half of them per the hubby’s request. 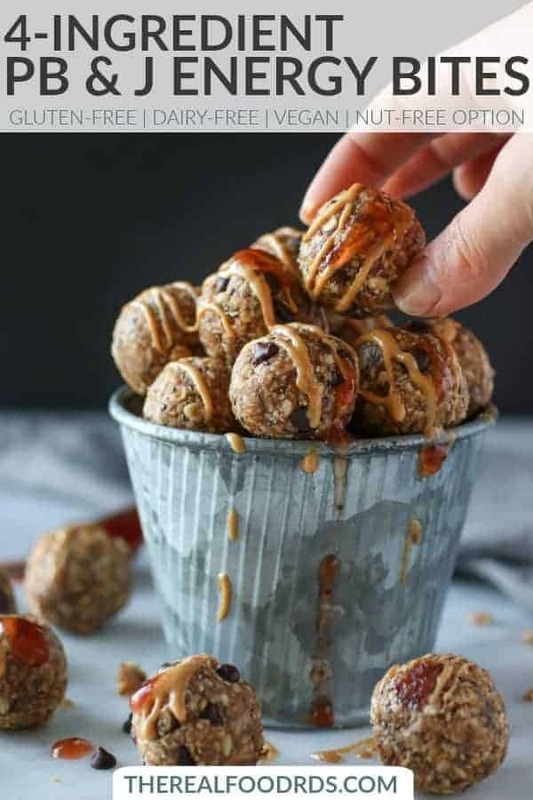 Feel free to add additional ingredients such as mini chocolate chip, chopped nuts or seeds, coconut flakes, hempseed, collagen and the list goes on. The world is your oyster. Feel free to double or triple the batch and freeze some for future. 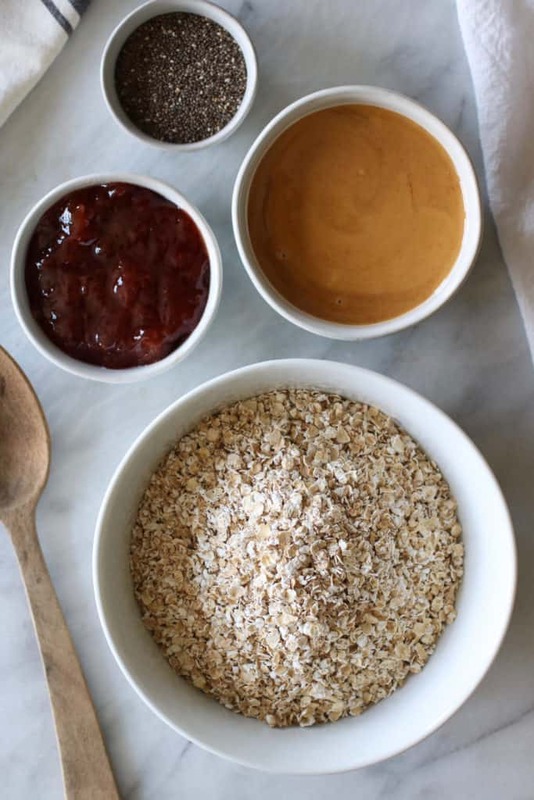 In addition, you can make this recipe nut free by substituting the PB for sunflower seed butter. The jam is what give these energy bites their sweetness. No sugar added fruit preserves or a fruit spread is what I like to use. 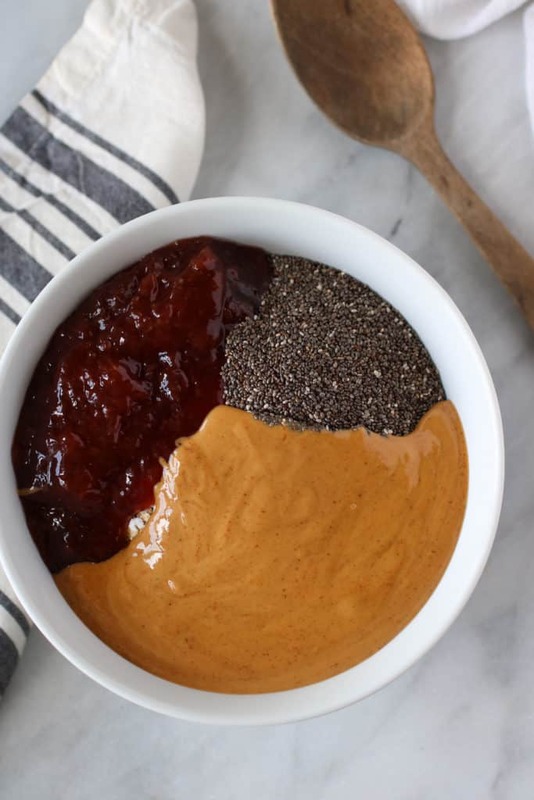 You could also try the bites with Jessica’s 3-Ingredient Cherry Chia Jam. So good. 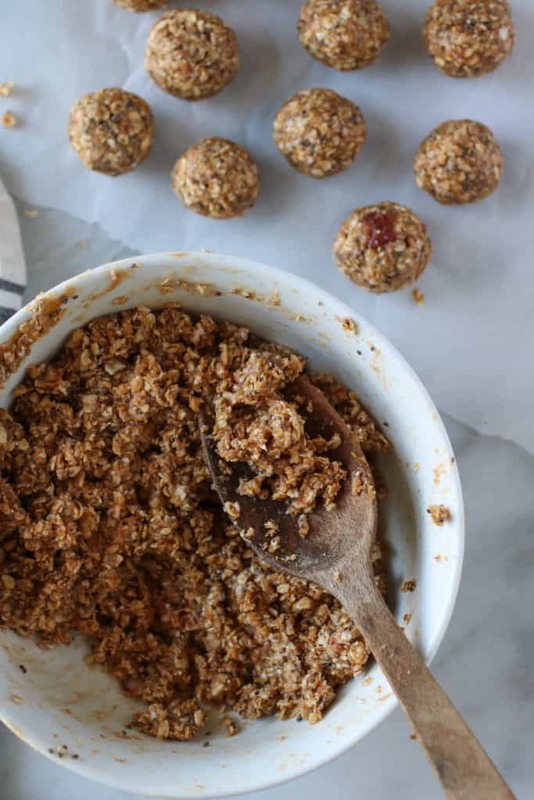 One of the 4 ingredients in this recipe is chia seeds. I love chia seeds because they add a nice boost of nutrients. 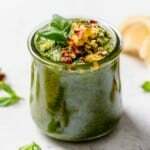 Just one ounce (28 gram) serving of chia seeds (roughly 2 tablespoons) provides 11 grams of fiber, 4 grams of protein, 5 grams of anti-inflammatory omega-3 fats and 30% of your daily needs for calcium, manganese and magnesium. Dough too sticky to roll? I’ve got just the tip for you! A simple solution for when this happens, is to spray your hands with coconut oil or olive oil spray. It will help to prevent the dough from sticky on your hands. Also, you may need to wash your hands half way through the rolling and spray them again. Kids like to get messy – so get your kids involved too! PB & J calling your name? Mine too. 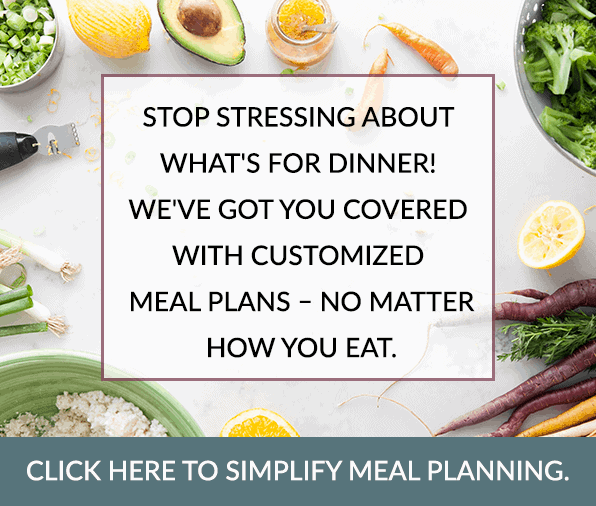 Optional add-ins – chocolate chips, chopped nuts or seeds, hempseed, collagen, protein powder of choice, coconut flakes, etc. In a bowl combine and mix all of the ingredients except for the oil. Oil hands to make working with the dough easier. You may have to repeat this a couple of times. With oiled hands, roll into small round bites. A little smaller than a golf ball. Tell us, is PB & J one of your childhood favorites? 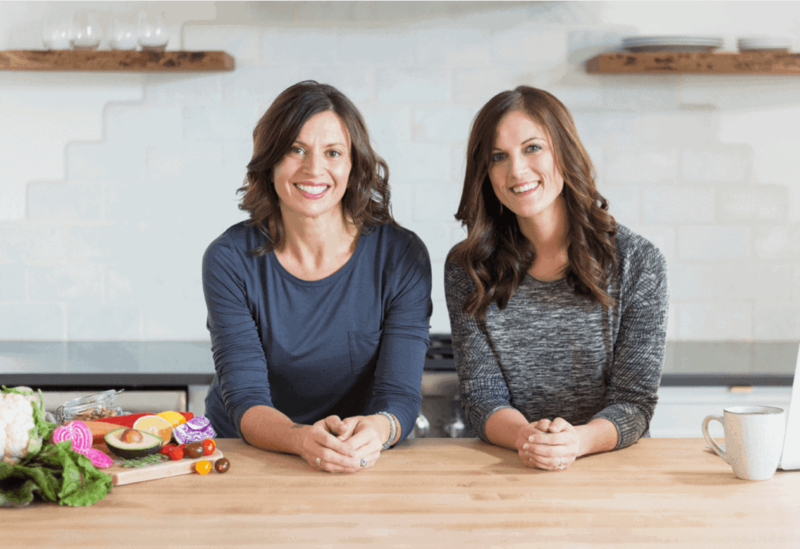 I am ALWAYS a sucker for a classic PB&J sandwich on really good crunchy crispy bread! 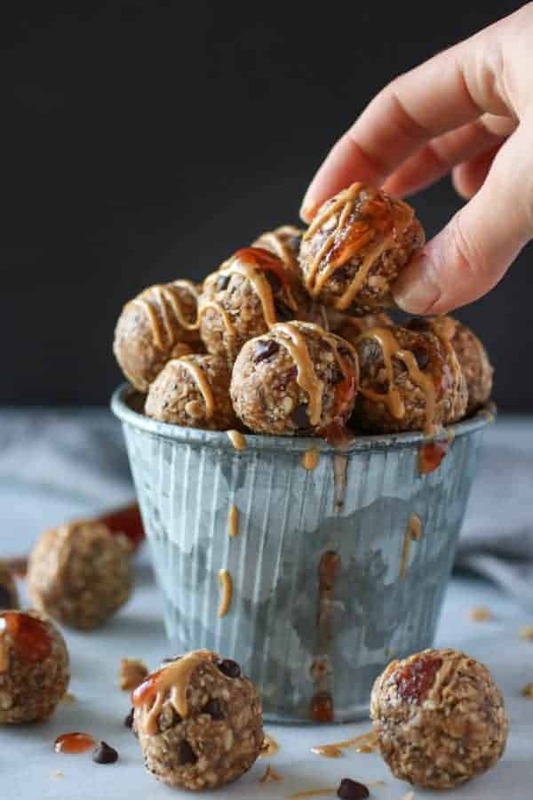 These NuttZo bites look AMAZING! Thanks! We love the PB&J combo too! Thank You for sharing your recipe. They sound so Yummy! I found out Whole Foods has NuttZo. I am going to make them. I am also going to make the jam too! You’re so welcome – I hope you enjoy them!! 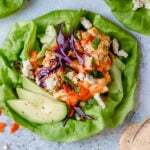 These are easy and delicious! I make them frequently for my toddler’s school. Instead of getting my hands messy I use a 1inch ice cream scoop to put them on a sheet pan. I refrigerate them on the pan to firm them up prior to transferring to an air tight container. Works great! Great tip about using the ice cream scoop! 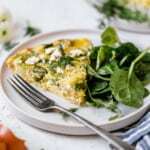 Can I use old fashioned oats instead of quick oats? I would say that you can. You *may* need to add more oats to get the proper consistency though I can’t say for sure. I tried it with old fashioned instead of quick oats, and it didn’t seem to want to hold together very well, even after refrigerating it. I will be trying quick oats next time for sure!They taste amazing either way though! 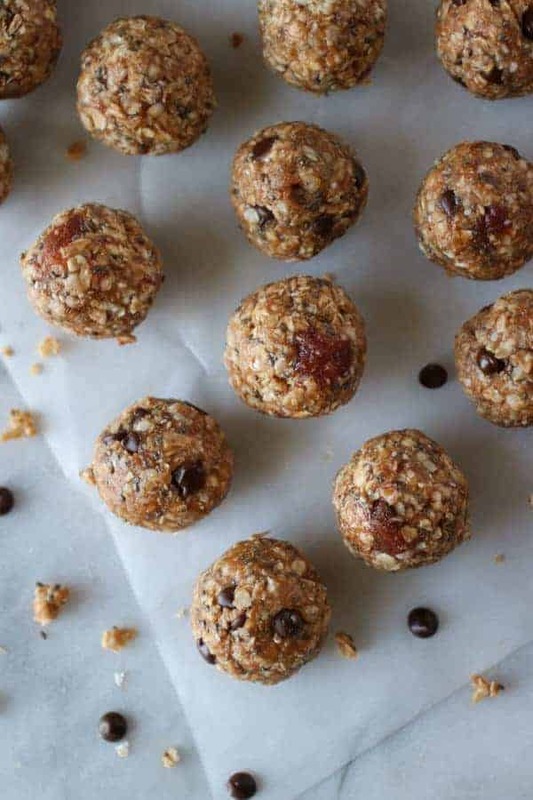 Quick oats work great! 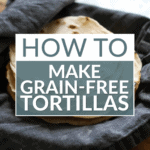 Otherwise you can pulse the rolled oats in a food processor to make them a little finer.